With our HP Reconditioned Printers, you can enjoy significant savings. You can rest assured that you will receive the high quality you expect from HP. Each HP Refurbished Printer has been retested to ensure optimal performance and your complete satisfaction. 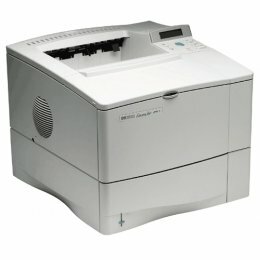 The HP LaserJet P2055DN Printer is quick, reliable, and simple to install and maintain. The HP P2055DN has a fast print speed of 35 pages per minute and allows you to connect via USB or share with a group via built-in Gigabit networking. Plus, you'll save paper with the built-in, automatic double-sided printing. 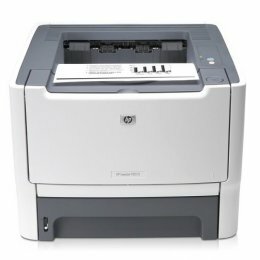 The HP LaserJet 1300 Printer is a very reliable black and white printing solution for the home office or for businesses looking for small personal printers. The HP 1300 is a fast and flexible printer with optional network capabilities and additional paper handling for business documents. The HP LJ 1300 printer has professional LaserJet quality output and can complete jobs at 20 pages per minute. The HP LaserJet 1200 Printer is a fast speed printer, printing 15 pages per minute, with the first page out in less than 10 seconds. 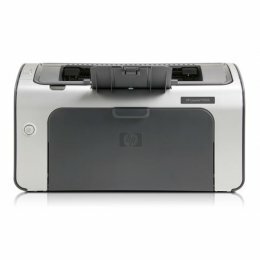 The HP LJ 1200 Mono Printer is perfect for small businesses or for people who work from home. The HP-1200 is small in size, conserving desk space and is economical to purchase and to maintain. 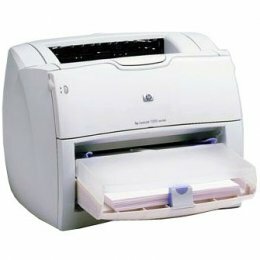 The HP LaserJet 4000 Printer is one of the most useful printers for the home office or workplace. The HP 4000 printer is small, and will not take up precious office space, but at the same time is efficient and reliable. The HP LaserJet 4000 Printer can print at a speed of 17 pages per minute and is an affordable solution for black and white laser printing needs. The HP LaserJet 1320 Printer will boost your office's productivity with print speeds of up to 22 pages per minute. The HP 1320 Laser Printer's "instant-on" technology brings out the first page in 8.5 seconds. Use the HP1320 to print professional-looking documents with the sharp laser imaging and advanced toner formulation. 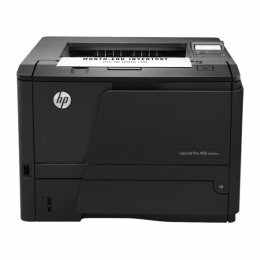 The HP LaserJet P2055DN Printer is quick, reliable, and easy to install and maintain. The HP P2055DN has a great print speed of 35 pages per minute and allows you to connect via USB or share with a group via built-in Gigabit networking. Additionally, you'll save paper with the built-in, automatic double-sided printing. 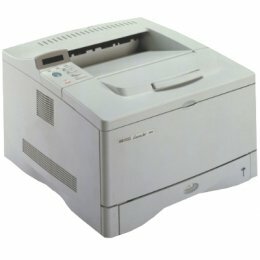 This HP P-2055DN Printer is FULLY REFURBISHED WITH A 1 YEAR WARRANTY. 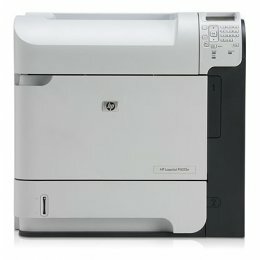 The HP LaserJet 2100 Printer is a 10 ppm, monochrome workgroup laser printer. The HP 2100 features high resolution printing. At 600 sheets, without optional media trays, the HP-2100 can handle more printouts without refilling than would many comparable printers. The HP LaserJet 1300 Printer is a monochrome printing solution for the home office or for businesses looking for small personal printers. The HP 1300 printer features optional network capabilities and additional paper handling for business documents. The HP LJ 1300 printer can complete jobs at 20 pages per minute. 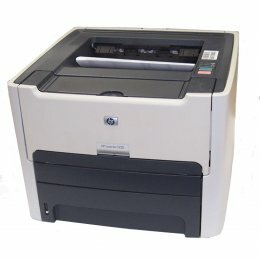 This HP 1300 Printer is FULLY REFURBISHED WITH A 1 YEAR WARRANTY. The HP LaserJet 4250 Printer is the benchmark that sets the standard for the printing industry. Capitalizing on a legendary imaging heritage, the HP 4250 Laser Printer offers reliable printing, excellent print speeds, advanced networking features, and brilliant print quality to allow your office to work at peak efficiency. For best-in-class quality, reliability, and performance, the HP 4250 is the only choice. 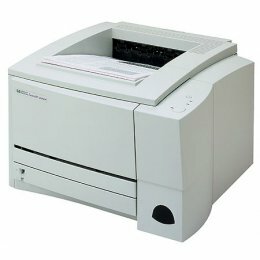 Looking to make the most of your work area with a stylish, compact laser printer? The HP LaserJet P1006 Printer offers high-end output in an affordable, personal design. The HP P1006 printer is excellent for printing everything from envelopes and labels to spreadsheets, reports, and invoices. The HP LaserJet P2015 offers increased productivity in a compact printer that's fast, reliable and easy to use. A powerful unit in an incredibly small package, the HP P2015 printer features 27 pages per minute print speeds and delivers the first page in less than 8.5 seconds. Professional-quality printing is easy with tried-and-true Original HP LaserJet print cartridges. The HP P2015 Laser Printer is ideal for work teams of up to 10 users and demanding individuals in small, medium and enterprise companies who need a reliable, space-saving, black-and-white printer for fast, high-quality business printing. The HP 4000N Printer is one of HP's most popular printers on the market. The HP 4000 N has the same features as the HP 4000 printer but with added networking options. 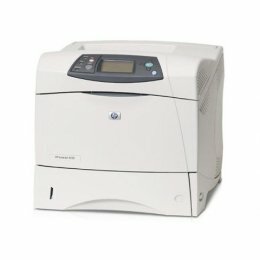 Speak to one of the experts at Copyfaxes to find out more about the HP LJ 4000N Printer. The HP LaserJet 1200 Printer has a quick print-speed of 15 pages per minute, with the first page out in less than 10 seconds. The HP LJ 1200 Mono Printer is ideal for small businesses or for people who work from home. This HP-1200 is FULLY REFURBISHED WITH A 1 YEAR WARRANTY. Maximize your day's workflow with the HP M401DNE Pro 400 Printer. With mobile printing options you can print on the go, as well as share printing resources on a network. Use business apps on the HP M401 DNE to access and print from the web and save paper using automatic duplex printing. The HP 4050N Printer prints 17-page-per-minute (ppm) The HP LJ 4050N Laser Printer has a 600-sheet standard capacity which reduces paper restocking. Straight-through paper path lets you use a wider variety of paper sizes and weights, and eliminates curling of heavier media and envelopes. HP4050N Laser Printer prints high quality at the same speed as 600-dpi and with standard memory. The HP LaserJet 5000 printer is a black and white Laser Printer which can print at A3 size at a speed of 16 pages per minute. The 1200dpi x 1200dpi of the HP 5000 produces quality prints and is an affordable addition to any office looking a reliable printing solution. HP LaserJet 1100 Monochrome Laser Printer can print up to eight pages per minute. HP LaserJet 1100 Monochrome Laser Printer has a print resolution of 600dpi. 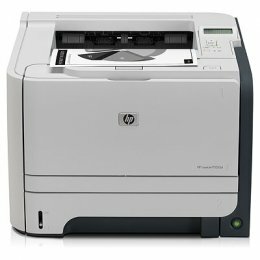 Both the speed and quality of the HP LaserJet 1100 Monochrome Laser Printer guarantees good results. The HP4015 is a black and white printer which takes only 8.5 seconds until the first page is out and will then print at a speed of 52 pages per minute. The 4015n prints with a resolution of 1200 dpi and can hold a maximum of 600 sheets. HP features a large range of Reconditioned Printers providing the ideal solution for small, mid-size or large businesses. You can choose any number of features to add to the base model of an HP Printer so that it is custom built for your home or office needs.